LianTronics classic VL series with a high resolution simulates the applications in surveillance, broadcasting, transportation, energy sources, exhibitions and conferences on-site to bring attendees to the application scenario. 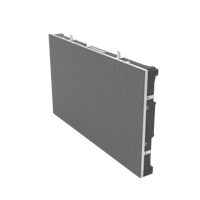 Made with aluminum alloy, the 7.8kg light-weight panel is with easy-to-install and an easy-to-maintain (front-accessible) design. 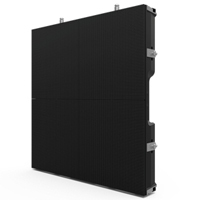 Module, power supply, receiving card, conversion card, and cables between panels can all be maintained from the front, and the panels can be assembled quickly and efficiently into the common display ratio of 4:3 or 16:9. RE series is designed as a fine-pitch curvable screen for rental. By the use of only one type of panel, RE series can realize your valued creations by being assembled into concave and convex screens from -10°to 10°, and the minimum radius of a circle screen is only 2.85mm long. In addition, its user-friendly design allows you maintain modules and power box from both front and rear according to actual requirements. Besides, there are two different sizes panels which can be assembled together, and more surprisingly the super compatible RE panels also supports for mismatch splicing from all directions.